The NBA is back and it’s in full EFFECT!! Hours after the lockout was lifted, we had our first big move, New Orleans point guard to the Los Angeles Lakers in a 3 team trade, which included the Houston Rockets. Right off the bat, the NBA was top news because something major was about to happen merely an hour after the lockout was lifted. No more than 24 hours later??? A bigger bombshell struck! The trade was vetoed. Wait! WHAT!? VETOED!! What do you mean vetoed? What does that mean? I’ve never heard of vetoed used as a sports terms (I believe all sports have their own language that is not the same as the modern day English language). Before we get to that, let me track back a little. 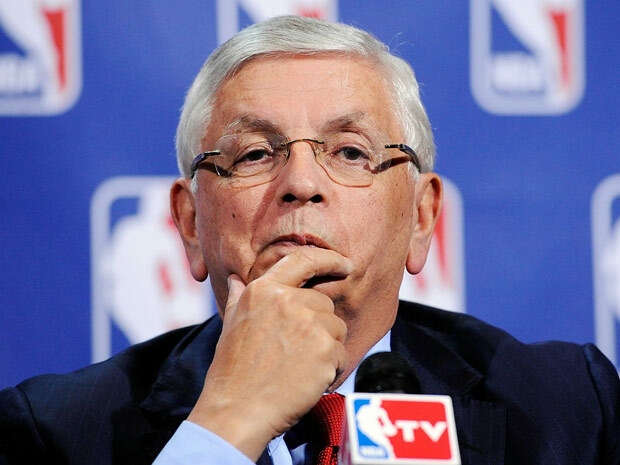 David Stern, the commissioner of the NBA, had rescinded the deal. He said that he denied the deal for “basketball reasons”. In other words, he didn’t want to. For those of you who don’t know, the New Orleans Hornets are owned by the league because their previous owner went bankrupt and could no longer afford to maintain the team. The rest of the league decided to pitch in and save the team until they can find a buyer. So, basically, the team is owned by everyone in the league. With that being said, when the league came to this conclusion, the league decided that it was “ok” for their GM, Dell Delps, to run basketball operations for the team. Furthermore, not getting involved in what is called “BASKETBALL REASONS”. The NBA lockout was one of the dumbest lockouts of all time. For those of you that didn’t understand why there was a lockout, it was basically a collective bargaining agreement that the owners and players had agreed to during the 1999 lockout, in which the owners agreed to a deal in which they gave the player A LOT of guaranteed money for players who were not worth it. Also, it was meant to help small market teams keep their superstars from bolting to a large market. In this case, I call it the Rashard Lewis rule. He received a contract from the Orlando Magic worth $170 million for 7 years (formally from Seattle), now anybody who watches the NBA knows that Rashard Lewis is not worth that kind of money. To put things in perspective, the only players making more money than Rashard in the league are Kobe Bryant and Kevin Garnett. Rashard is definitely not the Lebron James of the world. Now, if someone threw $170 million on the table, wouldn’t you sign the contract? YES! YES! YES! Yes you would!! So what happen? Why is it a big deal? Rashard Lewis did not live up to hype of the contract, not even close! He did get to the NBA finals but that’s primarily because there’s a guy on his team who’s a freak of nature (Dwight Howard) and Hedo Turkoglu got hot in the playoffs. So, the owners knew that giving guys huge chunks of money that did not deserve it was a bad idea… (sarcastic joke here). Rashard wasn’t the first player to receive a huge contract and did not deserve it. There’s also Gilbert Arenas (Golden State to Washington D.C.), Stephon Marbury (Minnesota to NY) and Joe Johnson. Dumb owners making bad business moves and they wanted their money back. I do not blame the players for signing the contracts but I blame the owners for offering them that kind of money and getting desperate. So the NBA lockout is in large part a group of bitter owners wanting to find a way to help themselves from, well… themselves. They wanted to find ways to not pay players huge amount of money yet be able to afford them so that they wouldn’t leave to a huge market team that can afford them like, say Los Angeles, New York, Miami and Boston. This jersey should have been a purple and gold one! Back to the NBA now. 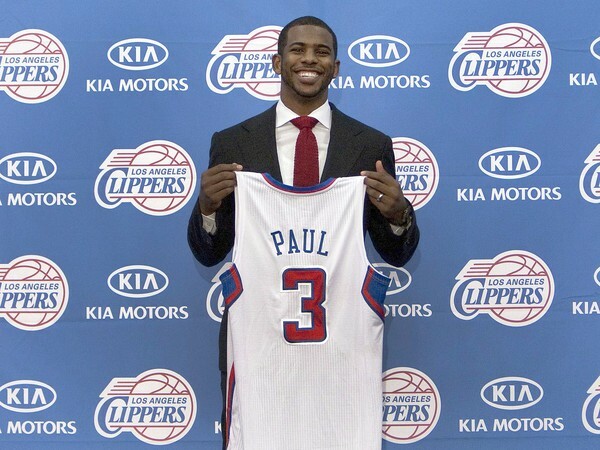 Chris Paul was traded to LOS ANGELES!!!!! …..but as a Clipper??? Wait! What? Didn’t we just have a lockout, where we did not want players leaving their small market team (in this case NO) to a big market team (LA) and make more money than maybe they deserve (which Chris can make over $75mil if he signs a 3 year extension)? Now I do not have a problem with the trade at all, I love basketball no matter who’s playing. The Clippers will be exciting with the freak ability of Blake Griffin and the best point guard abilities of Chris Paul will cause a lot Top 10 ESPN plays on a nightly basis. The issue that have with what has happen in the past week is that, THE MAN, (David Stern) decided that he didn’t want Chris Paul as a Laker because then you’d be making a good team even better, (which correct me if I’m wrong but isn’t that what you’re suppose to do in the offseason?) THE MAN used his power to decided where Chris Paul would play and it wasn’t going to be with a championship caliber team. The Clippers gave up 3 good young players and two draft picks for Chris Paul, they essentially gave up a lot of their future and NO is no better than it was yesterday. The NBA is headed into a direction where it will be despised by fans, because it has not caught up to its two counter parts in major sports (Most profitable NFL and MLB, who by the way just signed their collective bargaining agreement two years before it expired). The NBA is in a free fall in popularity thanks in large part to THE MAN’s iron clad fist in how the league will be ran right into the ground. The NBA has already taken a lot of heat for how it handled the lockout. Now, it’s going to take even more heat with the way it’s overseeing trades. Fans are unhappy. We’ve already sacrificed a portion of the NBA season to and now we have to worry about THE MAN stepping in a veto trades. The NBA finished with a great BANG last year. The season hasn’t even started yet and already we’ve been seen on huge THUD.